I am a huge fan of great sauces, especially when it comes to Thai sauces. 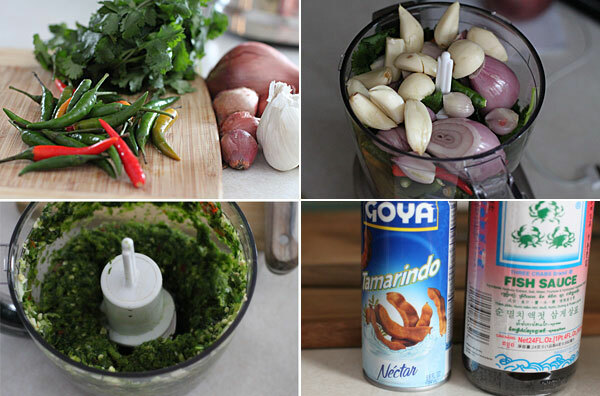 Examples being the Thai shallot sauce, Nam Prik Ong, and one of my favorite Vietnamese sauces, nuoc cham. One thing I love about these sauces is they all bring together the best of sweet, spicy, and sour, and to me those are just the right combination in flavors. There is another sauce that in my opinion can be used on pretty much everything and it just explodes with flavor. It is know as Thai three sauce, and once tried, you will be totally hooked. I find myself actually taking small spoonfuls, yes eating it alone (as it is that good), and I find myself coming back for more. It’s addicting and could very well be one of my favorite sauces. 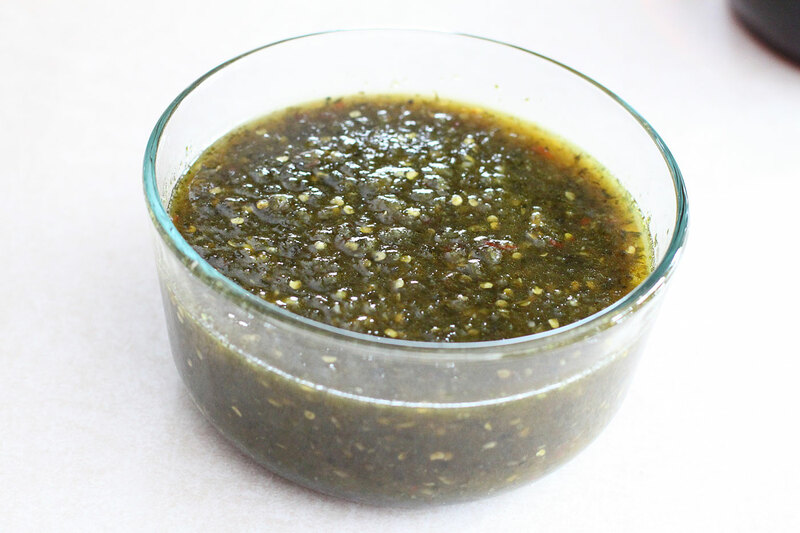 Start by adding the chilies, garlic, shallots, and cilantro, along with half of the water into a food processor, and pulse down until you have an even, smooth consistency, no chunks. Heat a large skillet on medium heat, and add in the oil. Once heated, add in the chili mixture, and stir. Add in your remaining ingredients, bring to a simmer, and cook for about 25 minutes until it reduces a bit. My wife told me to crank up the fans as she is not one for the smell of fish sauce, or even when vinegar is cooking on the stove, so it’s probably best to turn on the exhaust fan as after all, you are cooking with a lot of chilies and fish sauce. I don’t much mind the smell to be quiet honest with you, but it’s your call. Let cool, then store in a seal tight container for up to several weeks. Trust me, it will not last that long as this stuff rocks. I know it sounds like a lot of chili peppers, but trust me, the addition of the salty fish sauce, and balanced by both the brown and palm sugars, it is a perfect sweet heat. I actually had a spoonful this morning before putting some on my omelette. This sauce goes extremely well with things like fried fish, eggs, or just as a condiment for things like french fries. Give a go at it, and let me know how you like it. Hope you enjoy! 25 Thai chilies??????? Tell me that is a misprint, or you did not mean the small Thai chilies?? Not a misprint. 25 Thai bird chilies.